Written by Catherine Saxelby on Wednesday, 21 November 2018. Turmeric has been used throughout history as a culinary spice, a herbal medicine and fabric dye. Shoppers are mostly familiar with the dried, powdered form of turmeric and its unique and unforgettable colour which is responsible for the yellowy-brown colour of many curries. Traditionally, it’s also used as a dye but it’s called a fugitive dye because it’s not colour fast. Tell that to anyone who has splashed curry on a white garment! You can also buy Turmeric in the fresh root form, where it looks quite similar to a little rhizome or root of ginger. However, once it is cut open, you quickly realise the difference between the two. Its flesh is a vibrant orange colour, very different from the softer colour of a cut ginger root. Many of the clinical trials into turmeric/curcumin have small sample sizes and are of short duration. 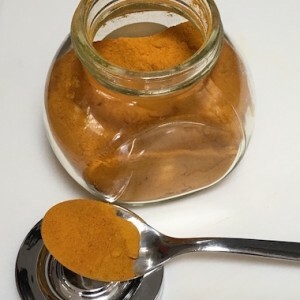 The best-studied constituent, curcumin, which can be as high as 5 per cent of the turmeric, is likely to provide you with a different set of benefits than whole turmeric – sliced or grated. That's because turmeric includes three closely-related curcuminoids: curcumin, bisdemethoxycurcumin and demethoxycurcumin. It also contains volatile oils like tumerone, atlantone and zingiberone. These different substances are all associated with their own unique health benefits. Curcumin extracted from turmeric is listed as a natural food colour (additive code no 100) and has been increasingly used to replace synthetic yellows in natural confectionery. Turmeric itself features in those infamous golden turmeric latte and turmeric smoothies. In 2017, US researchers reported that curcumin is an unstable, reactive compound in the lab and that it is not very available to the body. They considered it a ‘highly improbable lead’. Turmeric extracts contain dozens of compounds besides curcumin. In some cases, researchers may observe promising biological effects but ascribe activity to the wrong molecule. Lead author Pauli noted that at least 15 articles on curcumin have been retracted since 2009 and dozens more corrected. That said, some of the meta-analyses of some of the research look promising. A 2016 review of eight studies suggested that turmeric extract maybe a useful treatment for arthritis and particularly osteoarthritis. A 2017 review also found that turmeric and curcumin caused a significant reduction in ‘bad’ (LDL) cholesterol and triglycerides and so may help those at risk of cardiovascular disease. Yet another meta-analysis suggested that curcumin supplementation lowered blood glucose levels in people who had metabolic syndrome, pre-diabetes or diabetes. It had no effect on those with normal blood glucose levels. A meta-analysis performed on 2017 of six clinical trials into the use of curcumin as an antidepressant found a significant improvement in patient symptoms. While curcumin is poorly absorbed by the body, research has shown that even a small amount of black pepper ingested at the same time can massively increase its absorption into the bloodstream. Traditional Indian food that uses turmeric also adds black pepper in the spice mix so the bioavailability of curcumin is increased. Another method of increasing bioavailability is to add healthy fat – again something that happens in Indian cooking. This reduces the amount of curcumin that is metabolised by the liver and so more of it gets absorbed in the gut. Should you be taking Turmeric supplements? This is a hard question to answer. Medical research is yet to define a therapeutic dose for turmeric for any of the conditions mentioned above so it’s difficult to know. If you are planning to use a supplement then choose one that has good bioavailability. Otherwise just add a couple of curries a week to your diet and the odd turmeric latte made with full-fat milk.